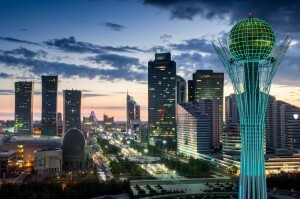 By Radwan Jakeem – NEW YORK – ”Today, there are about 300 million young people aged 18 to 30 years in the world who do not have a permanent job or are unemployed,” said Kazakh President Nursultan Nazarbayev officially launching in Astana, the capital city, ’2019 the Year of the Youth’ that focuses on housing, employment and adequate education for young people. 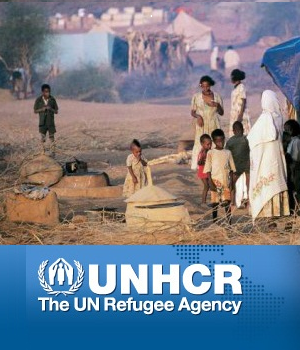 Similar to the ‘Youth 2030: The United Nations Youth Strategy’, initiated by UN Secretary-General António Guterres at a high-level event of the 73rd session of the General Assembly in September 2018, the Year of the Youth aims at meeting young people’s needs, and recognises their positive contributions as agents of change. The Kazakh President was speaking at an impressive ceremony on January 23 in the capital city’s eight storey ‘Nur Alem’ pavilion housing the first technological museum of energy of the future in Kazakhstan where the international specialized exposition EXPO 2017 drew 4 million visitors from 180 countries from June 10 to September 10, 2017. 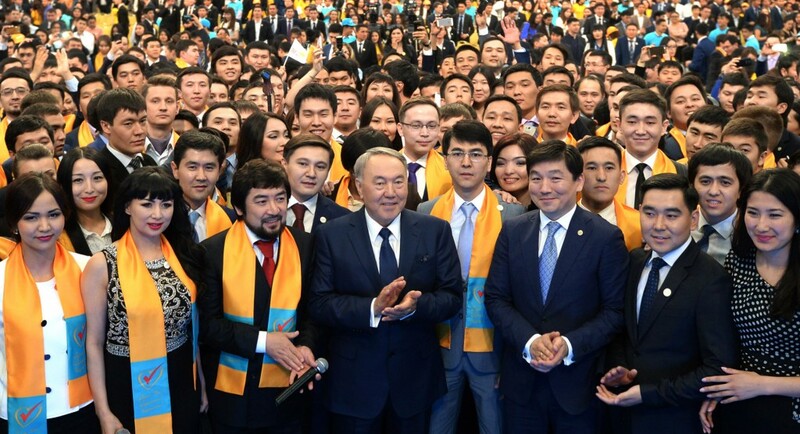 Winners of the ’100 New Faces of Kazakhstan’ competition, the Bolashak scholarship graduates, young scientists and businesspersons took part in the event where the Year of the Youth logo, symbolising the flight of a flock of cranes, was presented. to continue work on business education for young people, the Kazakh government plans to expand the programme of business grant support to up to 20,000 grants for young people. Approximately 32 billion tenge (US$84.4 million) will be allocated for these purposes. He added that the availability and quality of higher education would be improved. In addition to 20,000 grants under the Five Social Initiativesof 2018 and 75,000 new places in dormitories, scholarships will also be made available for students who are engaged in volunteering. The youth movement of the People’s Assembly of Kazakhstan availed of the launch of the Year of the Youth to put forward an initiative to plant an apple orchard in Astana. “The Year of Youth is a great opportunity not just to take part in the reforms taking place but also to contribute to their realization,” said Tamila Rozmetova at the opening ceremony of the Year of Youth. “I have been running the Saraishyk breed livestock farm, the plant for the production and processing of Alpine goats milk. There are more than 1,000 goats at the farm. We produce 15 dairy products of export potential. We are young and already have achieved a lot,” she added. According to her, the ‘Auyl Yel Besigi special project is the true social lift for rural youth. “The land is an ocean of opportunities, it is a huge labour market for youth to find and build their future,” she stressed. 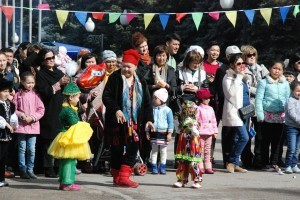 “The youth movement of the People’s Assembly of Kazakhstan Janghyru Zholy would like to support with a certain project. We would like to plant the apple orchid in Astana this spring. We have selected four frost- and wind-resistant varieties of apples,” Rozmetova said. 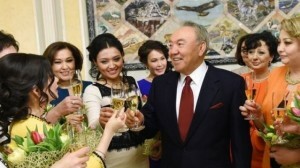 “The Year of Youth will open new horizons for young Kazakhstanis. 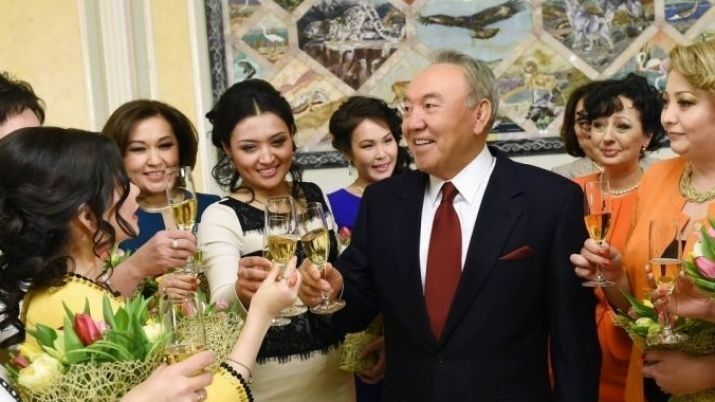 They will have all necessary conditions in place to make their ideas reality,” Amina Khamzina, coordinator of the Young Politician Club of the Zhas Otan, the youth branch of the Nur Otan Party, told Kazinform news agency.